A Supreme Court Bench headed by Chief Justice R M Lodha and comprising of Justices M B Lokur and Kurian Joseph refused to entertain a PIL seeking to prohibit the kith and kin of sitting judges of the apex court and High Courts from practicing in the same courts. 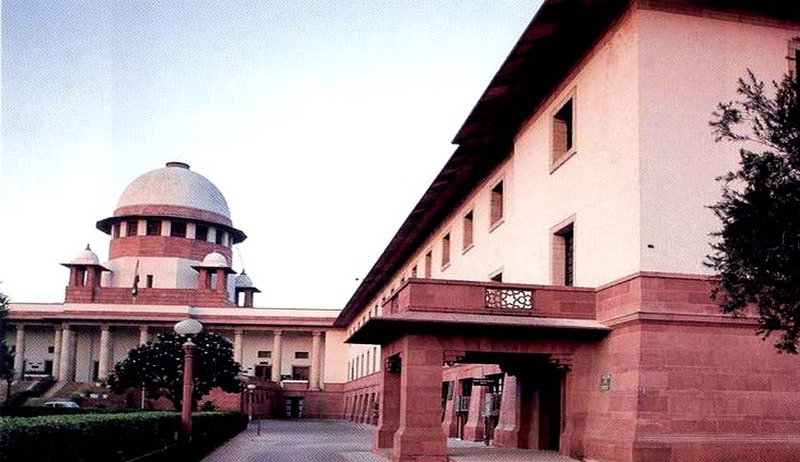 While dismissing the petition, filed by Advocate M L Sharma, the Bench said it couldn’t pass a judicial order on the plea seeking to prohibit the kith and kin of sitting judges of the apex court and High Courts from practicing in the same courts as the Bar Council of India or state Bar Associations are the ones to deal with any matters relating to violation of code of conduct. Alleging that practicing of kith and kin of judges was another face of corruption, Advocate Sharma, in his petition had made the Centre, BCI the apex regulatory body of lawyers, as Respondents in his Writ Petition.. The petition stated that barring kith and kin of judges from practicing in the same courts would restore faith and value of the judiciary. According to Sharma, the Supreme Court, in its Full Court Meeting in 1997, had adopted a Charter of ‘The Restatement of Values of Judicial Life’ which said a judge should not allow any member of his immediate family, such as spouse, son, daughter, son-in-law or daughter-in-law or any other close relative, if a member of the Bar, to appear before him or even be associated in any manner with a cause to be dealt with by him. The Bench stated that in case, if any member of the Bar does not follow the professional ethics a complaint has to be filed with BCI or state Bar associations, as this is not the role of the court and there cannot be a judicial order. While the bench was dismissing the petition, advocate M L Sharma chose to withdraw it. Justice Lodha while interacting with journalists after taking oath as the 41st CJI, had said that a judge can do nothing in such matters and it is the Bar who has to take action, as Bar has the disciplinary control over the members.